Bill’s energy clients are engaged in all sectors of the energy industry. Bill has represented natural gas producers, midstream operators and marketers as well as end-users and regulatory agencies in certificate, abandonment and rate proceedings before the Federal Energy Regulatory Commission (FERC). He has also represented clients in contested electric rate proceedings. 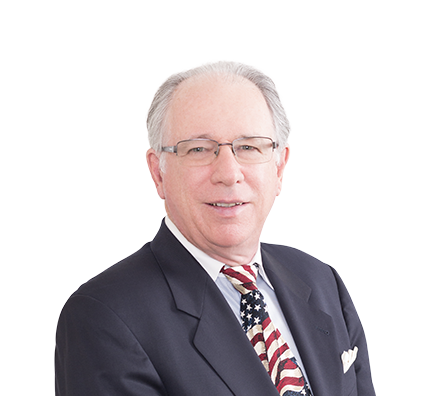 Bill has represented energy clients in a wide range of energy transactions and acquisitions, natural gas regulatory proceedings, commercial litigation and government enforcement proceedings. Bill was the principal legislative draftsman of both the Natural Gas Policy Act of 1978 and the Petroleum Marketing Practices Act (PMPA). He served as congressional committee counsel from 1973 to 1979. Bill has written and lectured extensively on energy policy and legal issues. Served as regulatory counsel in certification of the MARC I Project, a $260 million, 40-mile-long, 550,000 dekatherm/day pipeline project in the Marcellus Shale-producing region. Following receipt of the requested certificate, defended the certificate against a NEPA challenge in the U.S. Court of Appeals. Lead representation of a coalition of Michigan Upper Peninsula ratepayers (the Michigan Aligned Parties (MAP)) in System Supply Resource (“SSR”) cost recovery and allocation proceedings under Sections 205 and 206 of the Federal Power Act resulting in more than $22 million in rate reductions. Performed regulatory due diligence for a Wall Street energy investment fund in connection with contemplated acquisitions of regulated natural gas transportation and distribution companies. Represented a major oil company as chief litigation counsel in the arbitration of a multimillion-dollar contract dispute with an interstate oil product pipeline. Obtained an arbitral award in favor of client in excess of $11 million. Litigated Fuel Lost & Unaccounted-for proceeding against Rockies Express Pipeline on behalf of a firm shipper. Recovered more than $40 million in refunds through favorable Initial Decision and ensuing settlement with Rockies Express which applied the Initial Decision rulings to “pancaked” FL&U filings. Represented producers in natural gas pricing contract disputes with an interstate pipeline in federal court litigation over a 15-year time span, resulting in favorable rulings yielding $60 million+ in increased revenues and culminating in ultimate buyout of contract for more than $100 million.